"The staff and lifeguards always put safety first. It’s a great feeling to know my kids can have fun and be safe." 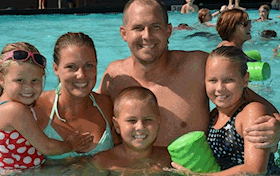 "For the price of membership, it’s family fun all summer long. You can’t beat the value!" "We schedule our summer around the activities going on at the Richboro Swim Club…the beach party, Halloween parade, barbecues…there’s always something fun going on!" "Great facility! 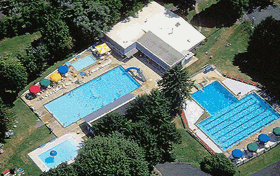 It has it all…waterslides, diving boards, a waterfall, 4 different pools, tennis, basketball, and big, shaded picnic grounds." 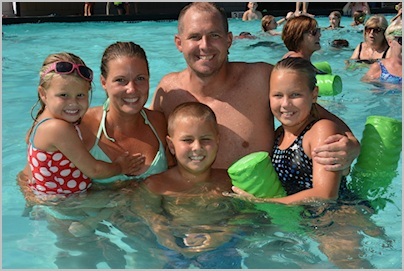 " We have been members now for over 5 years and look forward to every summer spending our days at the Richboro Swim Club"
" Water, Fun, family and fun, what more could you ask for." "Richboro Swim Club has been in our Family tradition every summer! 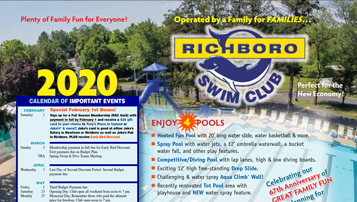 Plenty of fun for our whole family"
For a full summer of local family fun & relaxation you can't beat The Richboro Swim Club. Perfect For The New Economy! 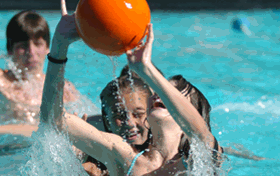 NOW- More Than Ever- Your Best Summer Value: ● Low Cost ● Near Home ● Great Facility ● Full Summer of Fun! Real People! Real Fun! Now a membership Plan For Everyone! With an awareness for the different needs of different households, the Richboro Swim Club is pleased to be the first area swim club to offer a choice of membership plans. These programs include Full Season, weekend only and half-season memberships.